Skreek I tell you. Skreek! 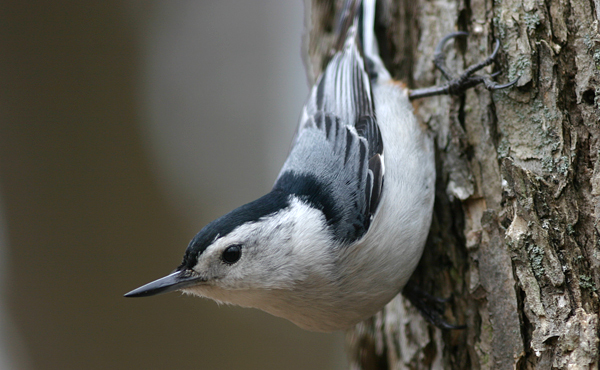 I have a little visitor who looks like a nuthatch but is mostly brown – upper and lower parts of its body. Likes to sneak unto my porch when the door is open. I have not seen any pictures that match the color of this one or anything similar to it.